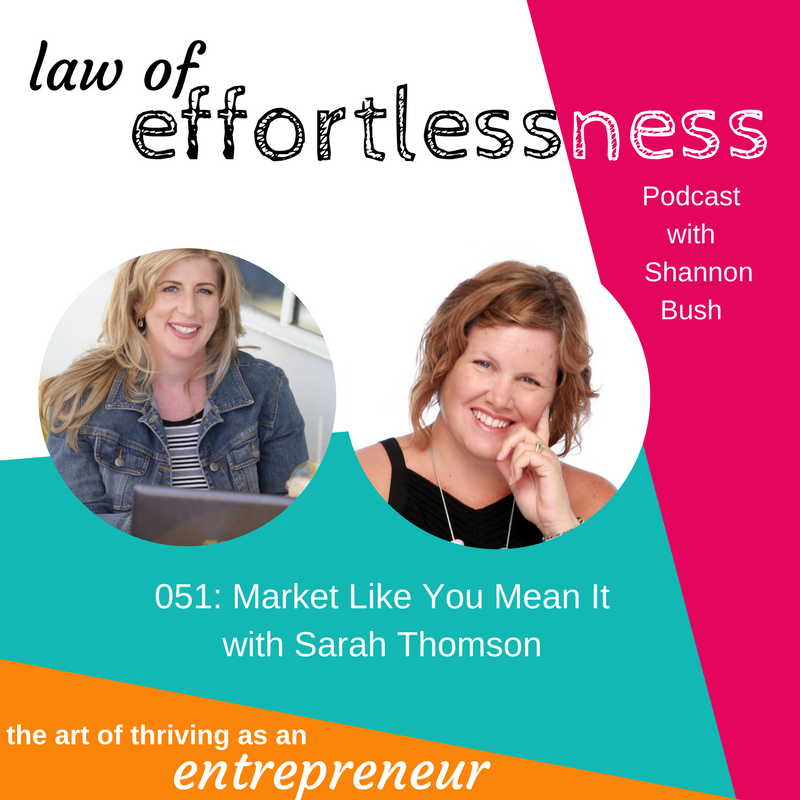 Welcome to episode 051 of Law of Effortlessness featuring Sarah Thomson from Online Social Butterfly. Sarah Thomson established Online Social Butterfly in 2011 and offers dynamic online marketing expertise to business owners. Her most popular topics include marketing in the digital age, social media, and websites. Sarah brings with her a 15-year background in corporate marketing, spanning multi-nationals, government, not-for-profit and the small business sector in both Sydney and the UK. Her enthusiasm for the industry is currently propelling her through a Master’s degree in Web Communications. She also finds time to run a taxi service for her sons, who are both competitive swimmers. Listen in as Sarah talks about what it’s like to run a business with her husband Grant – how their business evolved from before Instagram and Facebook Ads existed, working to their strengths, how it’s taken time to learn how they work best as a team and get the best performance out of each other. Shannon and Sarah also discuss their complimentary marketing services and perspectives – and asking the big question: is Facebook dead? What’s happening with zero reach and putting money into an advertising budget? Sarah also speaks to an experiment she conducted with Facebook and videos – using a Live video, versus a pre-recorded video versus a link shared from YouTube and the interesting results she found, and how you can use her experiment to get the most out of your video content. Sarah also talks to the fears behind why entrepreneurs frequently decide not to use video, and how she overcame the mindset hurdle – and the ease and flow that comes after the leap. 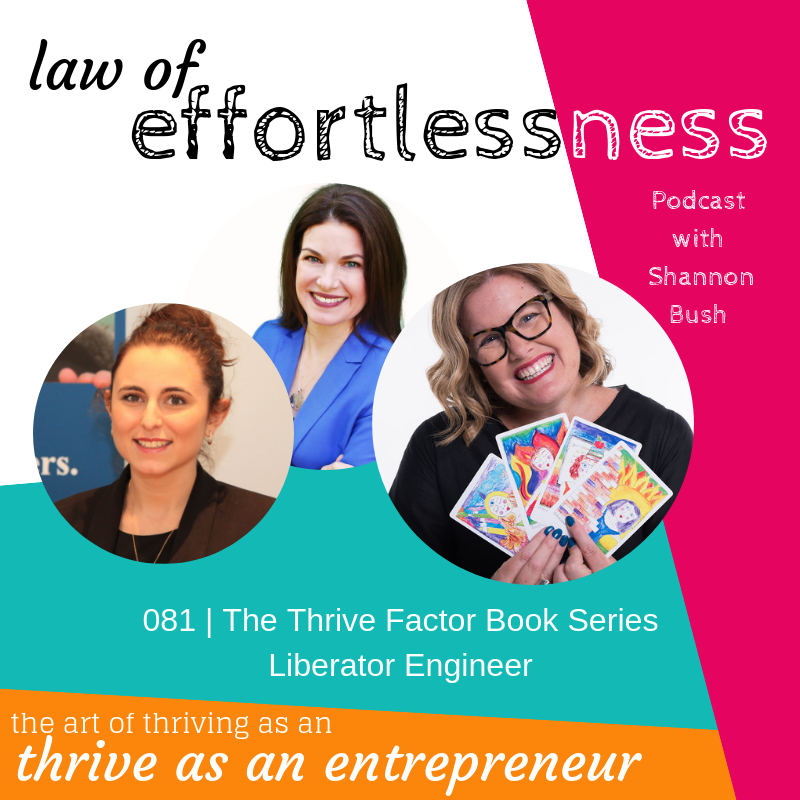 Shannon and Sarah also talk about collaborations – how they’ve collaborated together, the lessons they have learned, including if you’re an aligned match, and working in your places of strength. 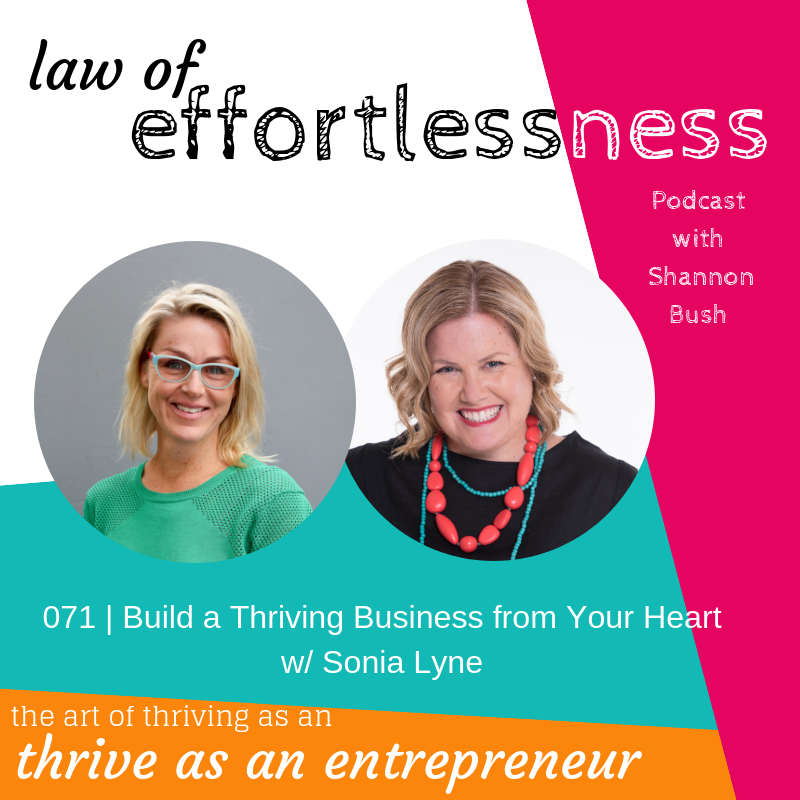 Shannon and Sarah also share how they have collaborated over the last four years, and most recently for Effortless Business Events. They also share how they made their collaboration one of ease and effortlessness by outsourcing tasks, sharing the workload, being open and upfront with figures, and much more. This entry was posted in Business Planning, Business Success, Business Wisdom, Creativity, Effortless Success, LOE Podcast, Magnetic Marketing, Marketing, Small Business and tagged Business, Business Coach, Business Coach Perth, Effortless Business Events, law of effortlessness, magnetic marketing, Market Like You Mean It, marketing, marketing coach perth, marketing coaching, Online Social Butterfly, Sarah Thomson, Shannon Bush on March 20, 2018 by Ashleigh Rae. 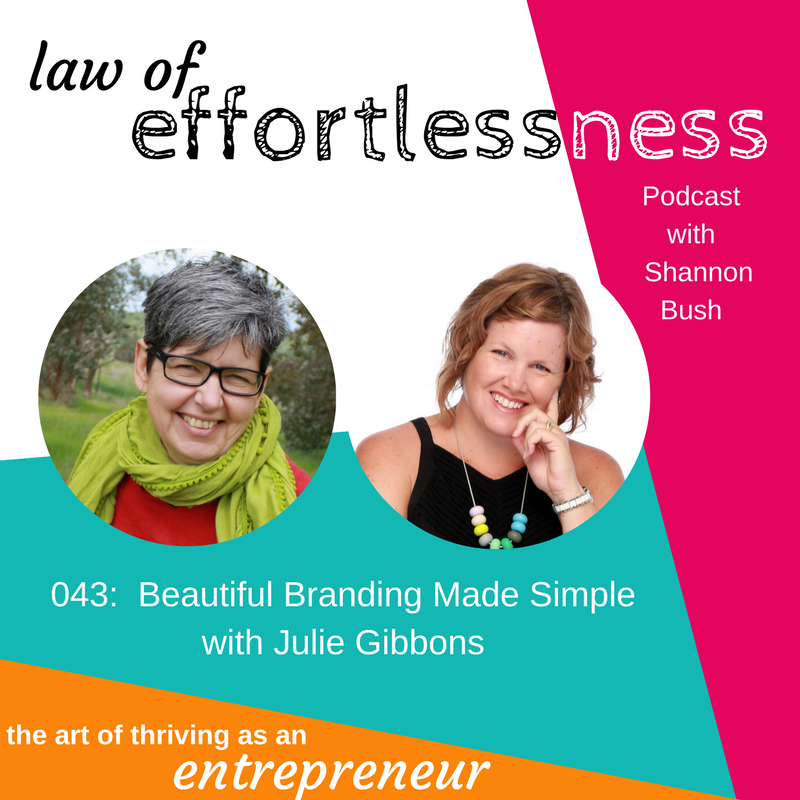 Welcome to episode 48 of Law of Effortlessness podcast. This is a solo episode with your host Shannon Bush. Join Shannon as she discusses her 7 tips for outsourcing, a topic originating from a question posed to her by new Team Member and former podcast guest, Ashleigh Rae. Outsourcing is a great way to work with skilled people and to support the growth of your business. Knowing when to outsource, what to outsource and why to outsource are just some of the questions many small business owners and entrepreneurs ask during the course of running a business. The timing is different for every business owner, but there are certainly some key milestones in a business and answers to those questions that can support you with your decision. 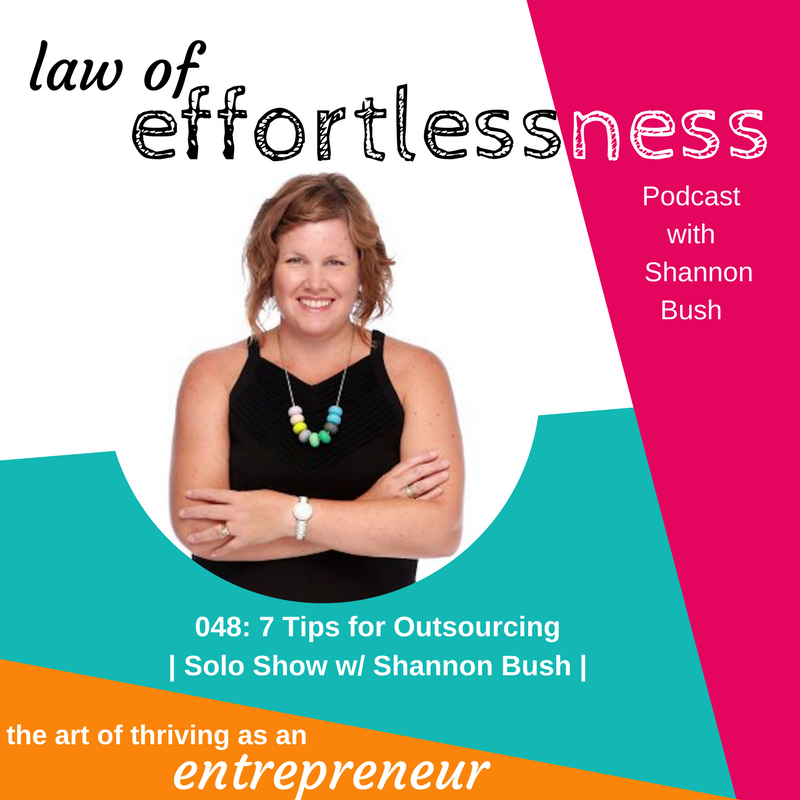 Listen in as Shannon shares her tips and wisdom on the who, what, when, why and how of outsourcing including examples from her own business experience. As Shannon has been using outsourced team members for more than 8 years, her 7 tips for outsourcing your team are based on real life experience, including success and failures. This entry was posted in Business Planning, Business Success, Business Wisdom, Effortless Success, LOE Podcast, Personal Leadership, Success Resources and tagged business coaching, business coaching Perth, business growth, law of effortlessness, Law Of Effortlessness Podcast, making business easier, outsourcing on February 8, 2018 by Ashleigh Rae. Welcome to Episode 039 of Law of Effortlessness Podcast. 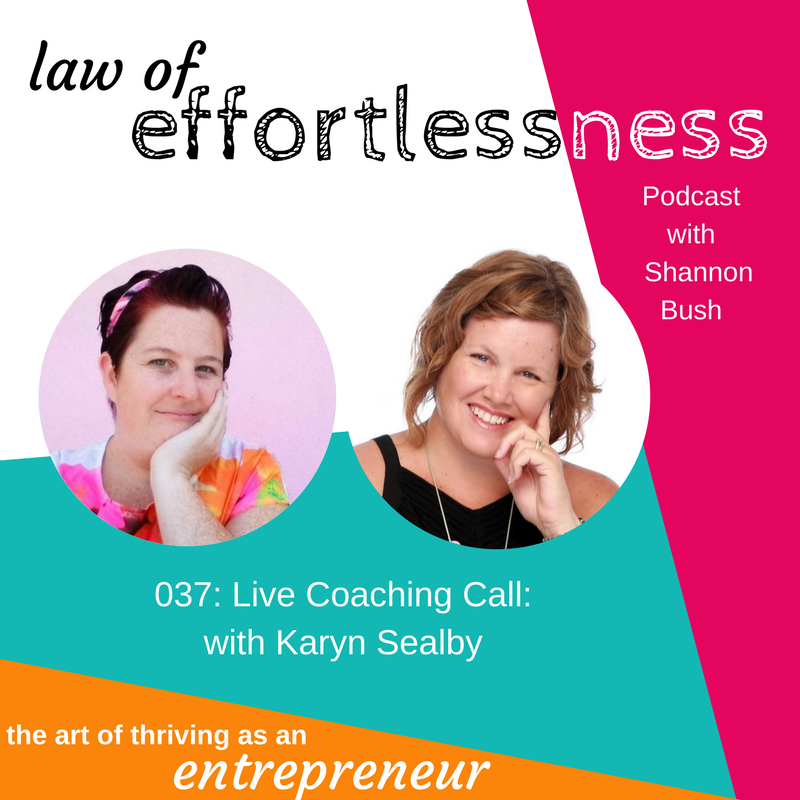 This episode is a little different as your host Shannon Bush does a live coaching call with Karyn Sealby. 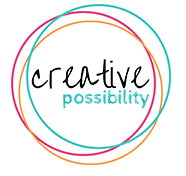 Karyn is a creative entrepreneur who loves to work with bright colours and a big focus for Karyn and all she creates is making people happy. She has 2 businesses. KBS Designs is a handmade business creating beautiful home decor. KBS Styling grew out of KBS Designs where Karyn now teaches makers how to style their product photos and also how to take branded stock photos for service based businesses. Karyn asks Shannon for some coaching on marketing. Recently Karyn has found that her marketing just doesn’t seem to be working. Karyn says she doesn’t feel her words are really her but she is not sure how to fix that without sounding unprofessional. 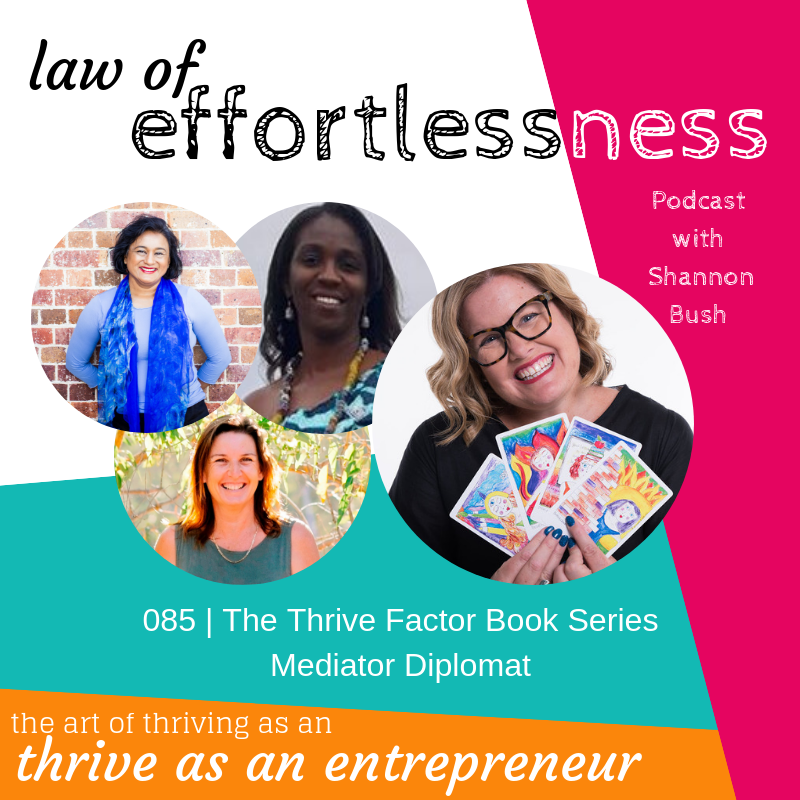 Listen in to see how Shannon helps navigate this terrain with Karyn and tune in for inspiration for your own business as you just may resonate and be able to implement some of the strategies suggested in your own life and business. If you love what Karyn creates (trust us, she’s always got something awesome on offer) you can shop here! This entry was posted in Articles, Business Success, Business Wisdom, LOE Podcast, Marketing, Mindset, Personal Leadership, Small Business and tagged business coaching, business coaching Perth, creative business, designer, Karyn Sealby, KBS Designs, KBS Styling, law of effortlessness, Law Of Effortlessness Podcast, live coaching call, LOE podcast, magnetic marketing, maker, marketing, podcast, Shannon Bush on September 5, 2017 by Shannon Bush.